Australians are well-known for their no-nonsense, pioneering spirit. 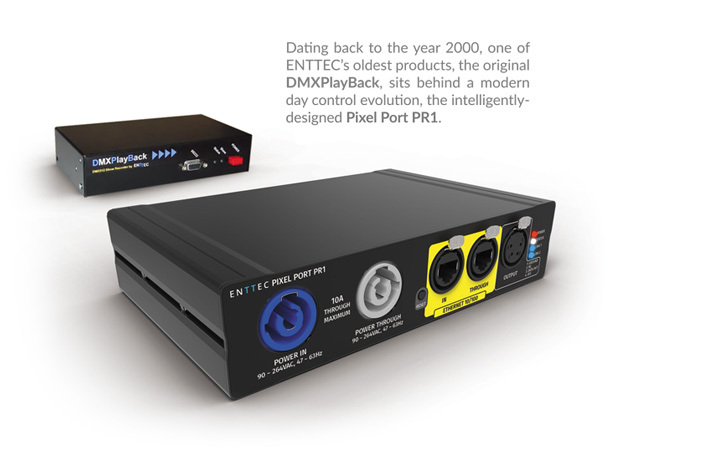 And having confronted the question, “Why can’t I control DMX lights from a computer?” this is precisely what Nicolas Moreau channeled in 1999 when he conceived and developed a world first PC-to-light fixture interface: the Open DMX USB. Designed to be high-quality, affordable, and compatible with existing systems, it was a well-engineered yet deceptively simple device. What’s more, as the ‘Open’ part of the name suggests, its schematics were made freely available for anybody to study and replicate, thus ensuring that this new technology would rapidly spread and herald previously unheard-of creative possibilities that would revolutionize the lighting industry. 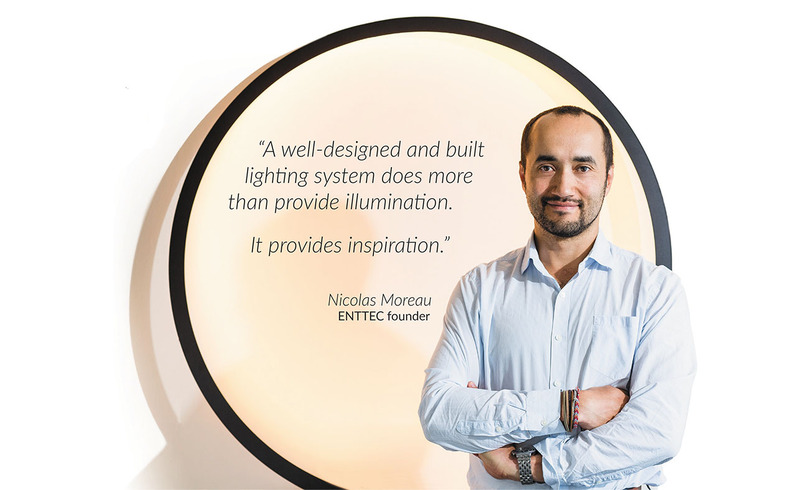 The ENTTEC brand grew from both this product and its transparent philosophy, rapidly developing a reputation, not just for engineering expertise, fine craftsmanship and technical innovation (with several products becoming global industry standards), but also for the kind of fast and flexible support and service that lighting professionals demand. We set out to treat our clientele as we’d like to be treated ourselves – with integrity, proficiency and dedication to achieving the best possible outcome. As the scope and popularity of our product range increased, so did the need to expand our operations internationally. 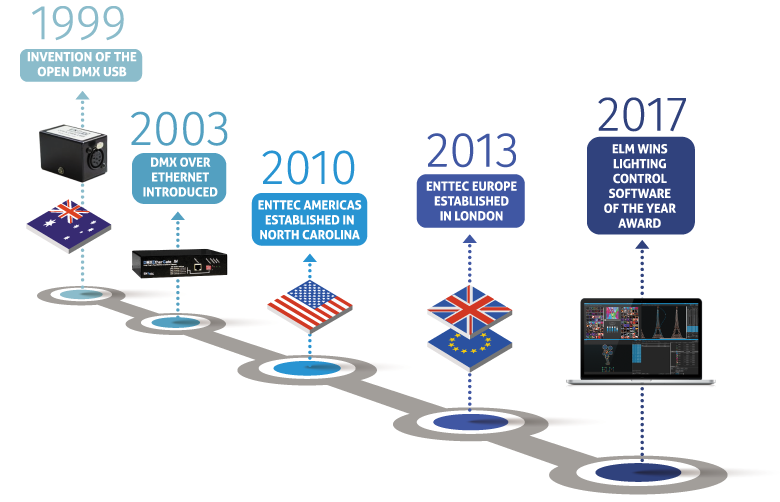 To accompany our state-of-the-art design and manufacturing facility in Australia, we established ENTTEC Americas in 2010, based in the famous Research Triangle region of North Carolina, USA, as well as ENTTEC Europe in 2013, with an office in London and dealers throughout the continent. Now a major player in the global lighting industry – known for our high-end LED luminaires, pixel system innovations, and true end-to-end solutions for virtually any project – we like to keep our focus firmly on the future through continual research and testing. Our momentum derives from a genuine hunger to push beyond the boundaries of what’s currently possible, and the desire to pass our discoveries on to you. It is our goal to ensure that our products continue to inspire users throughout the world to produce amazing visuals showcasing the zenith of creative technology. Drop us an email and we’ll help you turn your vision into a reality!